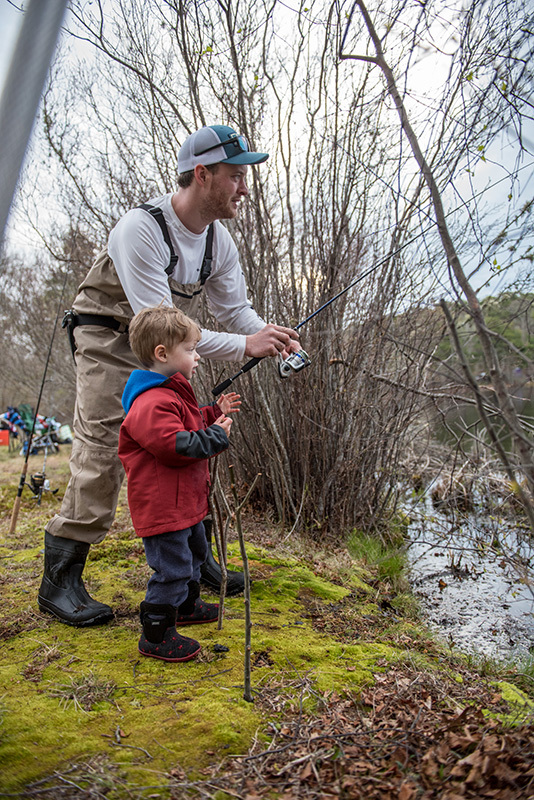 Two-year-old McCabe Neadow lands the biggest trout of the tourney. 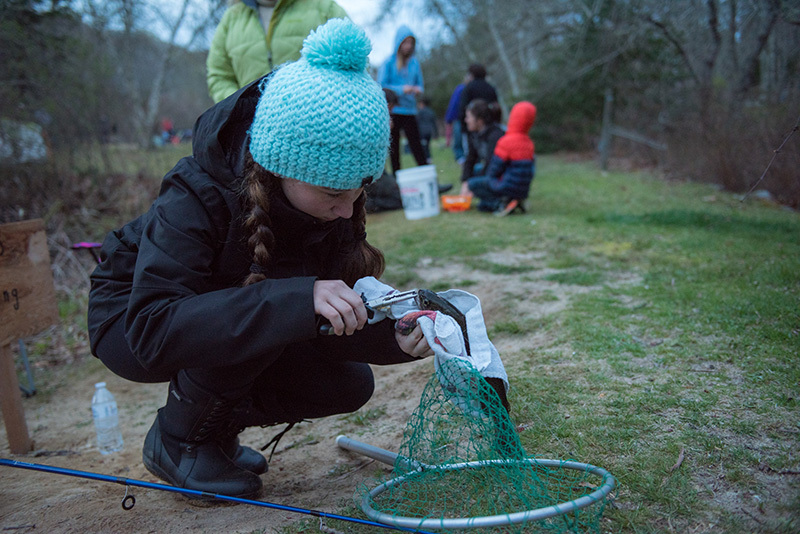 The kids trout derby began at first light on Duarte's Pond in West Tisbury. 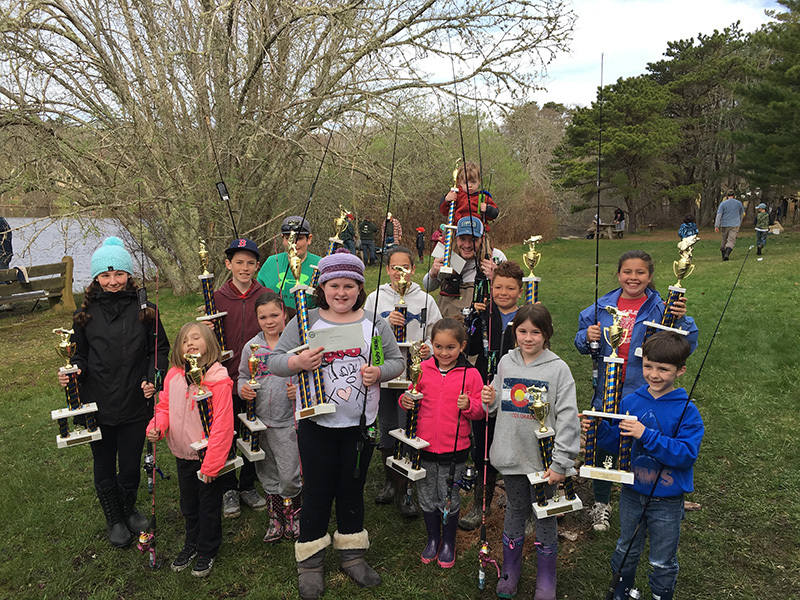 The kids trout derby winners pose with their trophies. Apparently, McCabe Neadow is a born fisherman. 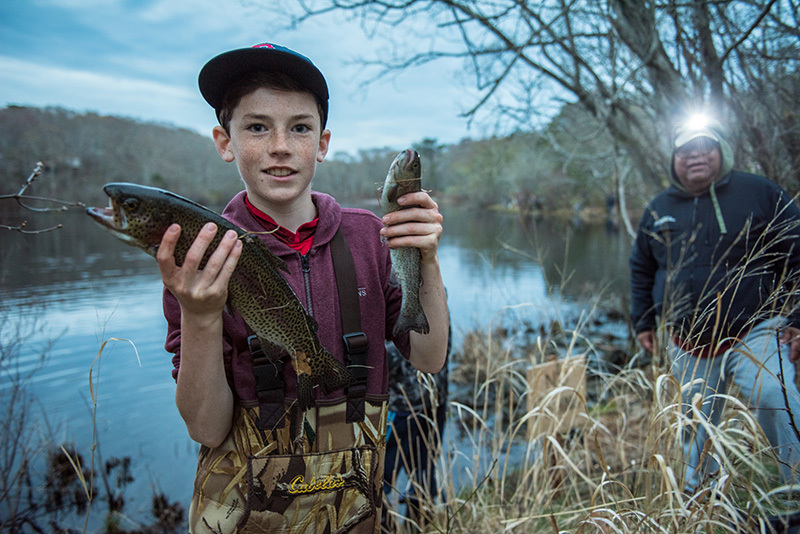 The 2-year-old Edgartown resident caught his first fish, a whopper of a rainbow trout, just minutes into the 44th annual Kids Trout Derby on Saturday morning at Duarte’s Pond. “I can’t believe he reeled this in himself. At first he didn’t think he could do it, but he stuck with it,” his father Tom said at the weigh station. 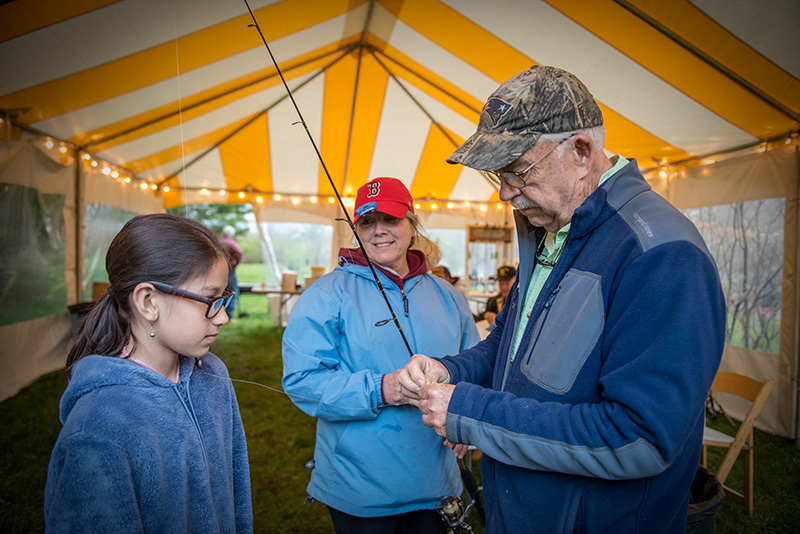 Like many parents lining Duarte’s Pond Saturday morning, Tom also grew up fishing the trout derby, but he never won anything. He said his son had no problem getting up in the predawn hours. “We got up about 4:30. He couldn’t wait to go fishing,” he said. 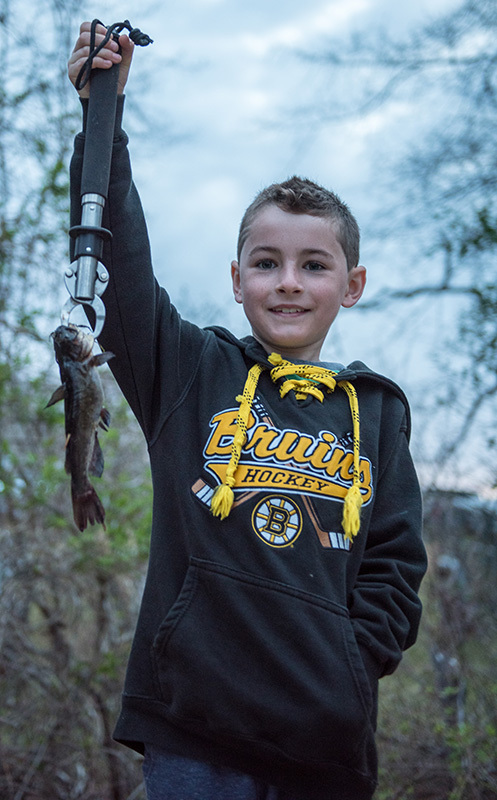 “I want to hold it!” McCabe said, after his rainbow trout measured out at 18½ inches. 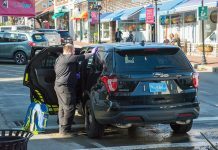 Conditions were ideal for the M.V. 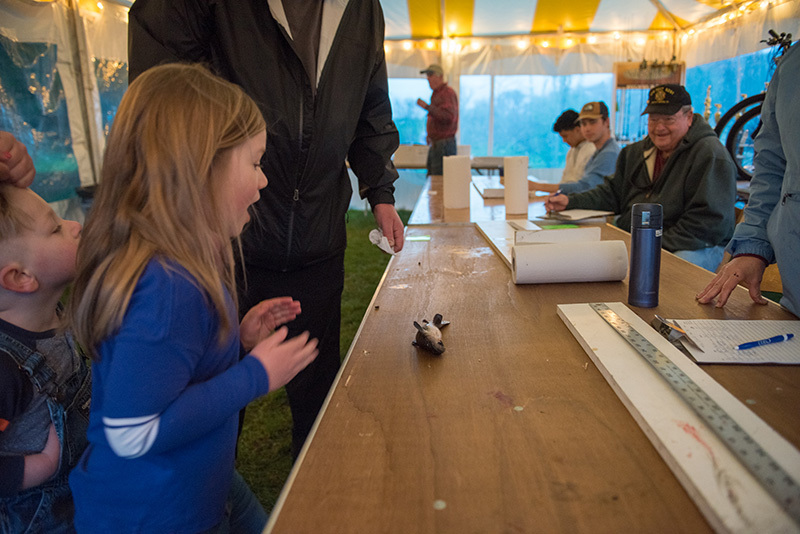 Rod and Gun Club Kids Trout Derby, with temperatures in the high 50s, a hint of a breeze, and cloudy skies that kept trout-spooking shadows to a minimum. 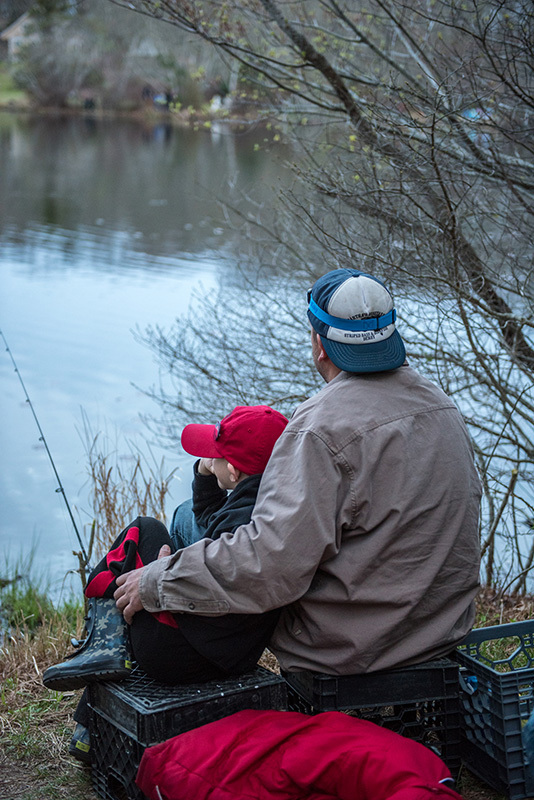 Kids from age 2 to 14, along with parents, grandparents, uncles, and aunts, lined Duarte’s Pond well before sunrise. Some arrived as early as 1:30 am. 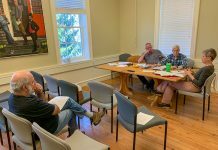 As always, Cooper “Coop” Gilkes, chairman of the M.V. Rod and Gun Club, and his wife Leila presided over the Island rite of spring. 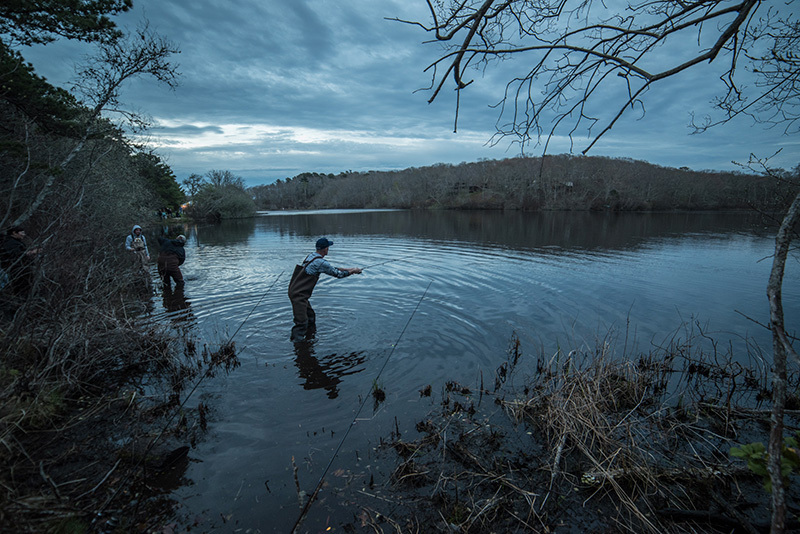 Over the course of two hours, a steady flow of kids made the “fish sprint” to the weigh station, running in heavy boots, holding their quarry, buzzing with adrenaline. Most sprinted back to the water to release their fish. 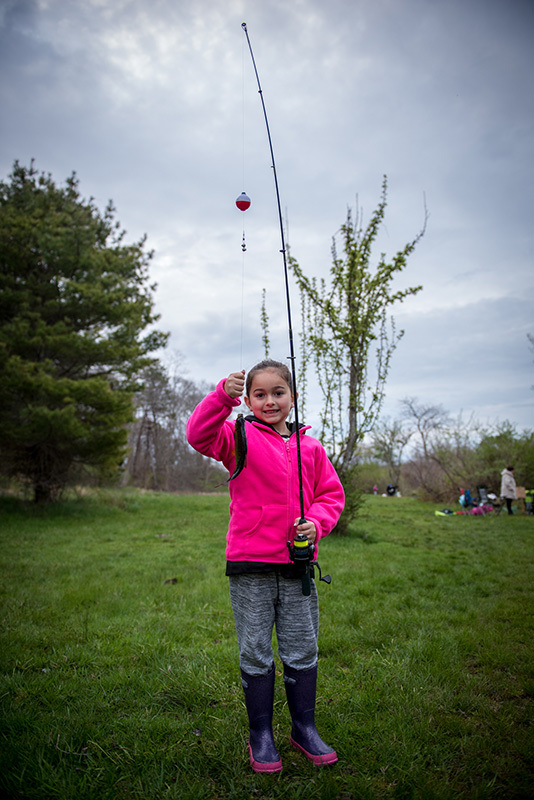 In addition to rainbow trout, the young fishermen caught brook trout, pickerel, catfish, brown trout, largemouth bass, bluegills, and one turtle. Coop was at the ready with spare equipment, which came in handy more than once. 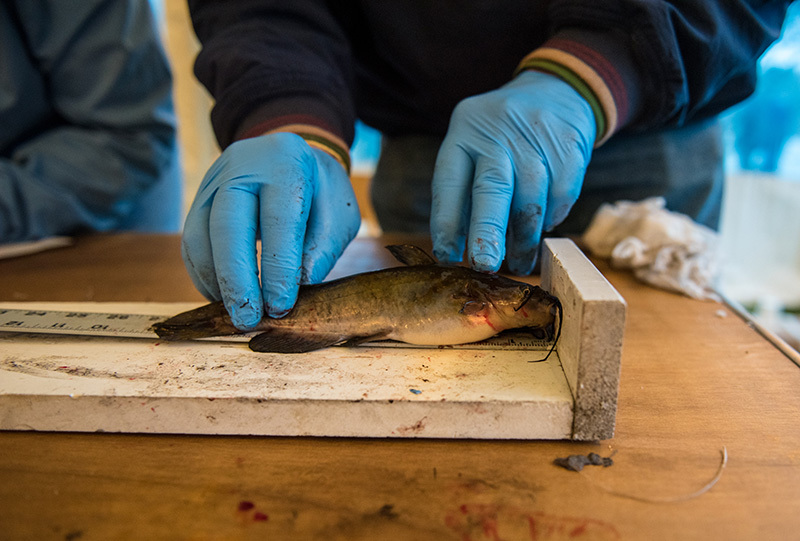 He also had his eyes out for Moby, a 10-pound trout that joined thousands of other recent arrivals from Blue Stream Hatchery. “I’d love to see a kid pull that one in,” he said. Moby was still in Duarte’s Pond when the final horn blew. And McCabe Neadow had won a new bike. In about six years, he’ll be able to ride it.